As the calendar turns to October, Halloween begins to register on every bodies radar across the world. The same is true for Disneyland Paris. 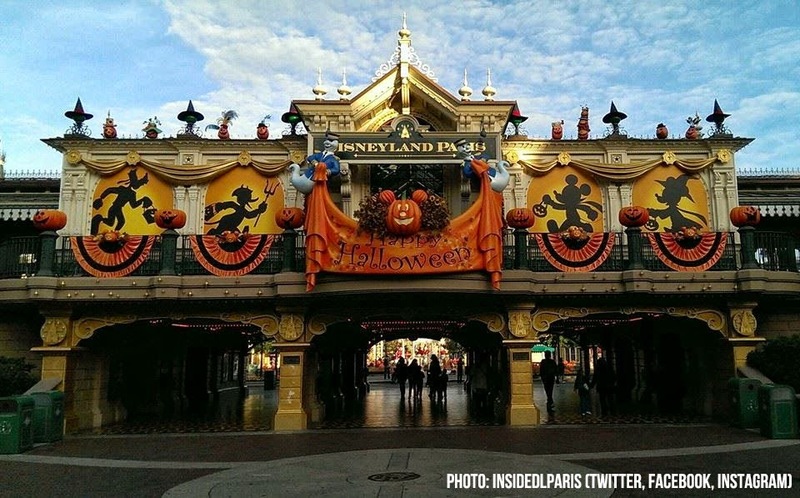 Two years ago, Disneyland Paris essentially took everything we knew about Halloween as it was celebrated in the resorts, and rebuilt from the ground up. Last year, we had a very successful Christmas reboot, this year it was Halloween’s turn. Let’s start by saying: It sure does look spectacular and builds very well on the foundations we saw last year. 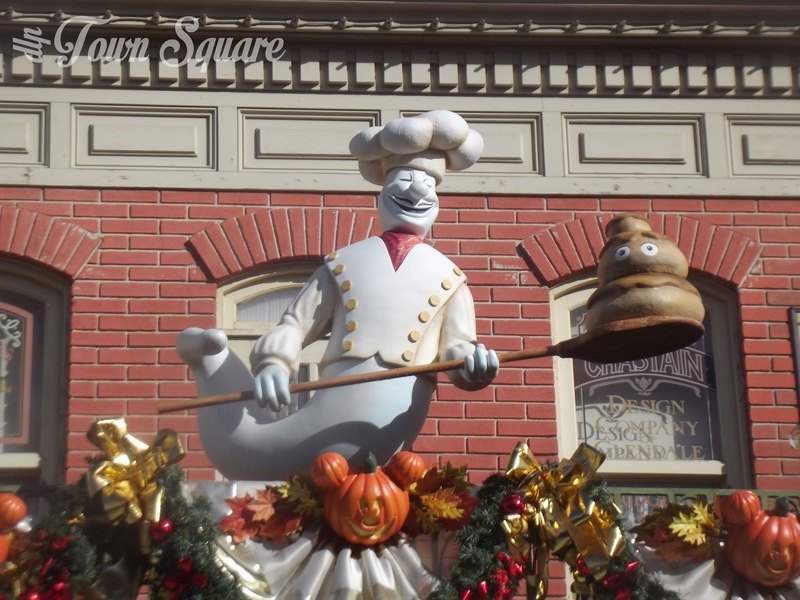 The characters, performers and cast members seem to be enjoying this new parade and it really shows, this has been a finely crafted parade. Bravo Disneyland Paris! There is also a new addition close to Casey’s Corner as Minnie’s Costume Couture has arrived, every day Minnie will meet guests in her beautifully designed fashion workshop featuring all sorts of props for guests to have their photo taken with as well as themed sewing equipment and mirrors. Also of note are the Halloween themed parasols, it suits the season much better than the ordinary green parasols and look beautiful. Fans of Jack and Sally’s Cemetery close to Phantom Manor will be delighted to learn that it returns for the new Halloween season, but with the addition of Jack’s water feature. Other returning features include Goofy’s Sweet Corner in Main Street USA as a photo location including one or two treats for Goofy’s friends (don’t worry, there are no tricks!). The Disney Villains will mix and mingle in the castle courtyard (all tricks and no treats!). 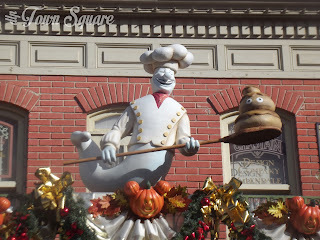 Disneyland Paris have always managed to provide excellent character meets for the Halloween season and provide pleasing moments for all guests. Finally, Main Street USA has been decorated extremely well with this Main Street Ghosts making their welcome return for another season, but with the addition of even more decorations such as orange banners and a new Halloween banner on Main Street Station (replacing the previous 20th Anniversary logo). But, all this is just a start, Disneyland Paris promise us that each year will see a growth in the season, the fantastic looking season so far has already lead to Disneyland Paris fans proclaiming it the best Halloween the resort has ever seen, this just leaves the thought that the future of Halloween at Disneyland Paris is very bright, and will offer us many treats, and luckily no treats. Bravo Disneyland Paris, you’ve made fans and guests of your resort very happy. 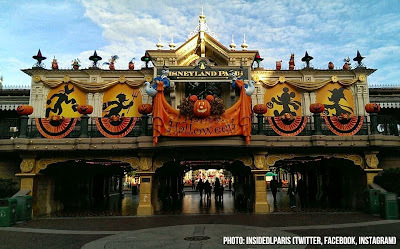 Disney’s Halloween Season runs from the 5th October until the 31st October 2013.